The Lean model (The Toyota Way) helped Japan recover after the Second World War and become part of the club of countries called developed countries. Since this “automobile revolution”, the Lean model has been successfully applied to different sectors of the economy, types of businesses and organizations around the world. If “Open Books Management” (see: http://www.peacewinds.org/open-book-innovation-in-business/ ) provides a perspective for making businesses transparent and having a circular organizational structure, Lean provides a framework and tools for innovating. Here we summarize them, provide possible applciations from the agrarian sector, and we conclude on the importance of reading it from the culture itself for expanding human capacities. Ideas from the business side seeking productivity and quality, and ideas from the social side with research and participatory action contributed to what later would become the Lean model. W. Shewhart in 1924 proposed the use of the “statistical control of processes” to statistically observe the yield of the entire production process and not just the result. K. Lewin in 1946 proposed participatory research action where the people involved would analyze their reality and transform it; in organizations, the people affected by qualified changes have the primary responsibility in deciding on the improvements that have to be made in the business. Based on these contributions, in the 1950s and 1960s E. Deming proposed the circle plan-do-verify-act: improving the quality process from the beginning, recognizing leaders with their differentiated skills, cultivating confidence in order to gain efficiency and effectiveness, erasing barriers between departments, educating in the work for self improvement, and organizing to transform the organization. On this basis the Lean model developed four concepts, each of which readily lends itself to an agricultural setting (see: Liker, J. K., 2004, The Toyota Way. 14 Management Principles from the World’s Greatest Manufacturer). The first is that the decisions be based on a long term philosophy, at the expense of what might happen with the short term financial objectives. The perspective is about improving the lives of the clients and making their own members grow, and through that emphasis growing a healthy business that would be profitable. The second is the process of creating continuous flow in the entire production chain so that problems might come to the surface and thus be identified and addressed (e.g. overproduction, excess handling and inventory, dead time where someone is not working or clients are waiting, underuse of the talent of the staff). Lean creates a culture of stopping to solve problems instead of waiting until the end of the process, and of standardizing improvements. The third is continuous evolution of the people, of leaders creating a long term culture, one of continuous improvement, utilizing errors in order to learn and teach, and of respect for the extended network of members and providers (“extended enterprise”), challenging them and helping them to improve. The fourth concept is teaching the tools of problem solving (organizational learning), giving importance to the data as indicators of what is happening, but making decisions going to the events themselves and understanding the context in which they happen and the nature of the problem. The Vice President of Lexus, Japan summarized this different way of working like this: “The most important thing for Toyota are the people. We get involved in teaching and training, and we build a culture of continuous improvement. We are not concerned about the next hybrid, the next engineering marvel, not even the next sales strategy. Our number one concern is forming our people and building a culture of continuous improvement.” And that importance transcends factories and fields and offices everywhere. Lean emerged in the automobile industry and has been applied more in factories, including plants processing cheese, chocolate and vegetables. But it has been demonstrated to have the same high impact in any other work settings, because the concept is based on the fact that all work- of whatever sort- is a series of processes. 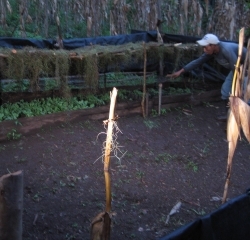 How can Lean be adapted to small farming production in Central America? The first thing is building a long term culture based on an aspiration of interconnected farms, with a perspective of productive chains and diversified and sustainable systems whose center are the families themselves. Then, in this perspective, identifying and fighting waste: planning the production supply not according to the moon, but to the demand (e.g. harvesting beans every month of the year in accordance with climatic-soil variations, investment in irrigation and organization of the actors in the bean chain; likewise in products like corn, plaintains, honey, milk, passion fruit, meat or eggs); making intelligent investments (e.g. instead of each company and each cooperative having a dry mill that costs more than a half million dollars, cultivating relationships of trust with the owners of the already existing mills, and establishing relations based on standards for the control of coffee weight and quality). 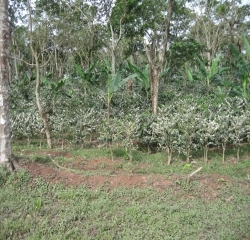 Then, that this process be undergoing continuous improvement in its very details, for example, instead of increasing productive yields based on applying chemical inputs, calculating yield in the entire chain and developing relationships with the coffee harvesters so that not even one bean is lost in the soil, regulating the huller so that coffee beans are not broken, having adequate drying screens without holes to prevent coffee beans from falling through while drying them on the farm, making organic fertilizer from the pulp, keeping coffee beans from being left on the patios of the dry mills, roasting-grinding and packaging coffee specifically for niche markets. Finally, doing everything just in time to achieve product quality, and in each part maintaining records to analyze them jointly with the actors and improving them. Make the chain a space for organizational learning. The Lean model is not a magical recipe, but a reference point for any organization – business, cooperative, NGO and any type of institution – and for any family. All of us want to continuously improve the activity that we are involved in, which is why identifying the waste and doing away with activities that do not create value give us more life. 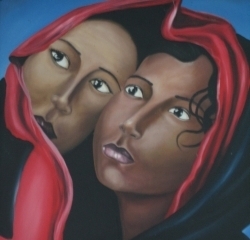 Nevertheless, not all of us want to grow in the way that is “in style”: growing in areas of land at the cost of dispossessing peasant and indigenous families of their land; increasing the yield of the crops at the cost of producing more greenhouse gases (carbon dioxide, methane and nitrous oxide) that speed up climate change. Instead of “bigger is better”, the notion of decreasing is growing: focusing on the people and on their repossession processes, developing a culture of learning to innovate continuously in each detail. Correspondingly, subtracting is more than adding; if each day we save two seconds in the activity in which we are involved, we are making each process simpler, in just two seconds! How much time would we save in a year? The human goal is changing the world for the better. Money is a means and will be multiplied if we do not lose our long term perspective, in that our concern “is forming our people and building a culture of continuous improvement” to the point of asking ourselves: how can we do it better? How can we reduce or eliminate barriers and thus improve the return on our work? More than “excavators” we are committed to building a culture of a better life. 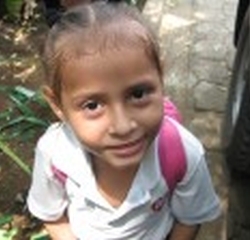 * René Mendoza (rmvidaurre@gmail.com) has a PhD in development studies, a collaborator of the Winds of Peace Foundation (WPF) (http://peacewinds.org/research/), associate researcher of IOB-University of Antwerp (Belguim) and of the Nitlapan-UCA Research and Development Institute (Nicaragua). Steve Sheppard, current director of WPF, was the manager of the Foldcraft corporation owned by its 350 employees. Mark Lester is the director of WPF in Nicaragua and of the Center for Global Education and Experience of Augsburg College.